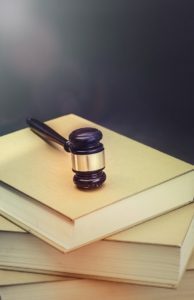 The legal procedure for seeking guardianship of an adult with special needs in Illinois involves petitioning the court for an order appointing a guardian. Petitioners must follow court procedure exactly to receive the order. Either an “interested person” such as a family member or the person with special needs himself may petition the court. Before filling out the petition, the petitioner should obtain a report certifying that the proposed ward –meaning the person with special needs – is “disabled” under the law and should have a guardian. A licensed doctor must complete and sign the report, and other professionals who are familiar with the proposed ward may contribute information. The law requires that this report contain extremely specific information about the person with special needs. If the guardianship that is petitioned for is a limited guardianship, then the doctor’s report must be very specific as to the limited area(s) where the individual does not have capacity. The court may appoint a guardian ad litem to independently advise the court about the person with special needs’ best interests. Guardians ad litem are attorneys or advocates that act as the eyes and ears of the court to interview the individual with special needs and the potential guardians and to investigate on behalf of the court whether the guardianship shall be approved. A guardian ad litem should meet with the person with special needs and discuss the proposed guardianship. The person seeking guardianship or his attorney should prepare the petition and supporting documents after obtaining the doctor’s report. These documents include a rights notice, summons, notice to interested parties, order, oath, statement, and bond. All the documents, and often the report as well, get filed with the appropriate Probate Court. Either the court clerk or the petitioner gives the documents to the sheriff to serve on the person with special needs, giving him or her notice of the guardianship proceeding. After the documents are filed, the court will set a hearing for a day and time within 30 days of the petition filing date. At the hearing, the judge will decide whether the proposed ward has a disability under the law, whether to grant the petition, and who to appoint as the guardian. The person with special needs is entitled to attend the hearing. Guardianship has long-term consequences for people with special needs, and setting up a guardianship can be complicated. We recommend that you seek out a qualified attorney to help you.